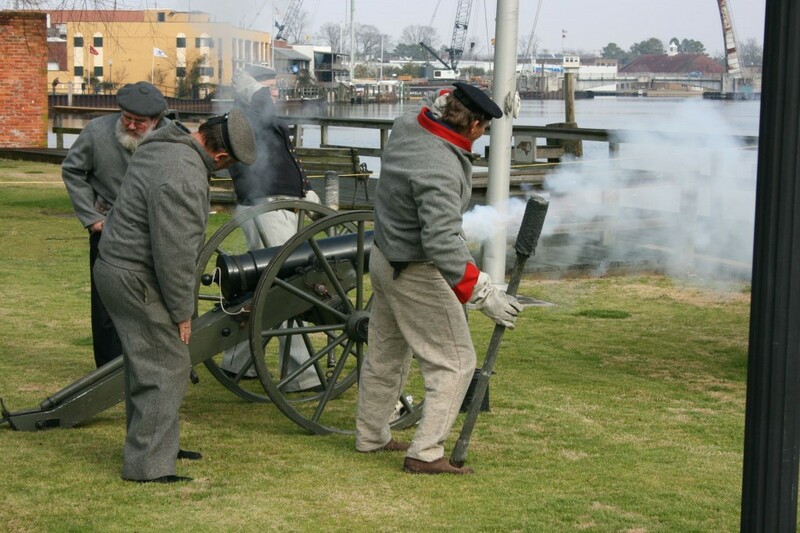 Part of the national Civil War Trails program, the “Elizabeth City Civil War Trails Tour” weaves together the history of Union occupation in Elizabeth City through real-life accounts of arson, ambush, guerrilla warfare-and the tragic tale of a family murdered on a trip to town. Pick up a copy of the Elizabeth City Civil War Trail Markers Tour brochure at the Visitors Bureau. Then view six markers (within walking distance of the downtown area) that depict events that took place in Elizabeth City from 1862-1863.